Personalised Lip Enhancement for natural looking lips. Lip fillers and contouring treatments that help to create a stunning natural look. Lip fillers are used to help enhance the lip area, and fill in thin or uneven lips. An injectable dermal filler with a Hyaluronic acid solution (HA) is used for the lip injections. These gel-like fillers consist of a thick hydrating fluid that is naturally found in the connective tissues of your body. The gel is injected into the lips or around the mouth to give a more defined look. The procedure can be tailored to the individuals needs, giving a more hydrated and natural look to the lips. The ageing process causes your lips to naturally go thinner, lip fillers can be used to enhance the lips for the look the client requires. Both men and women of all ages can benefit from lip enhancements. Lip fillers can be used to achieve your desired shape, definition and volume. What is Hyaluronic acid (HA) & is it safe? Hyaluronic acid is a naturally occurring polysaccharide (carbohydrate) in the human body. It is present in large amounts in the spaces between the skin cells, Hyaluronic acid provides moisture, firmness and suppleness to the skin. The ability to produce Hyaluronic acid decreases with age. Hyaluronic acid is a powerful moisture-binding ingredient because Hyaluronic acid binds so easily with water it is used in skin care products as a superior moisturiser. If applied regularly it will increase hydration and improve elasticity of the skin. Hyaluronic acid may also repair collagen, improve the appearance of scars, and reverse free radical damage. Hyaluronic acid is suitable for all skin types and is completely safe. Before the lip filler procedure can go ahead, Dr Natasha will give a detailed consultation, and discuss what areas of the lips are to be injected. A small amount of (Non-permanent) Hyaluronic acid solution (HA) is injected using a fine hypodermic needle into the desired lip area. The treatment normally takes between 15-20 minutes to complete, depending on the areas being injected. After completing a series of injections, Dr. Natasha will then massage the client’s lips. This is to ensure the lip filler is evenly distributed around the lip area, and make the lips look even and smooth. There will be a minimal amount of discomfort during the procedure and afterwards where the filler has been injected, this is normal. The procedure will give volume, plumpness and definition to the lips with a softer, natural look. What are the benefits from having lip enhancements? Dr Natasha uses a wide range of fillers and techniques. It is recommended that you avoid Smoking after the procedure. Smoking can cause the lips to tighten and constrict, and may shorten the life of the lip augmentation procedure and overall look of the lips. What happens if I don’t like the end results? Dr. Natasha can inject a specially formulated enzyme called Hyaluronidase. Dr. Natasha will carefully inject the Hyaluronidase to the level of correction desired. A larger dose of Hyaluronidase may be required to completely eliminate all of the filler from the lips. Hyaluronidase injections are recommended to be delayed for several days post procedure in order to allow for any swelling and bruising to subside. DON’T be scared if despite doing all the right things, your lips are still swollen and bruised. Apply ice afterwards (If required) If you ice immediately after the treatment, it will help minimize any bruising. Avoid any Hot Drinks (Post procedure) as this can affect the Lip filler. Avoid any water on the lips. Use a facial cleansing wipe to clean face, avoiding the lip area. Avoid touching or massaging the lips unless absolutely necessary. Keep lips moisturized at all times. Use Aquaphor Cream (TM) or a good quality Lip balm. Dr. Natasha will advise on the amount of filler that is required to achieve the client’s desired look at their consultation. The lip filler procedure, which requires medical knowledge and expertise, Dr. Natasha will recommend the best course of treatment that’s best for the client. The amount of filler required also depends on the client’s age, the current size of the lips, the looseness of the lips and the end result that the client is looking to achieve. Clients should follow the post procedure recommendations, and there should be minimal risks or complications. The treatment is not recommended for pregnant and breastfeeding women, or anyone who suffers from any severe allergic reactions. Bruising, redness, swelling and discomfort are all possible, and usually only last from one to a few days only. This can be treated with Aciclovir Cream(TM) immediately after the treatment (If required). Dr. Natasha will discuss any side effects prior to your treatment, and the client will be asked to fill out a consent form on their medical history. If you have previously had any cold sores around the mouth, the treatment may bring on an outbreak. Medication such as Aciclovir(TM) tablets or cream are recommended post procedure. This is a very common question. The lips are a very tender area, and will be obviously sensitive to any injection. However, your lips will be numbed before the treatment is carried out. Most people can tolerate the injections and find the procedure much less uncomfortable than they first expected. Some clients experience some slight swelling or bruising post treatment, this is normal. You may also notice that your lips are tender for up to 5 days following the treatment. 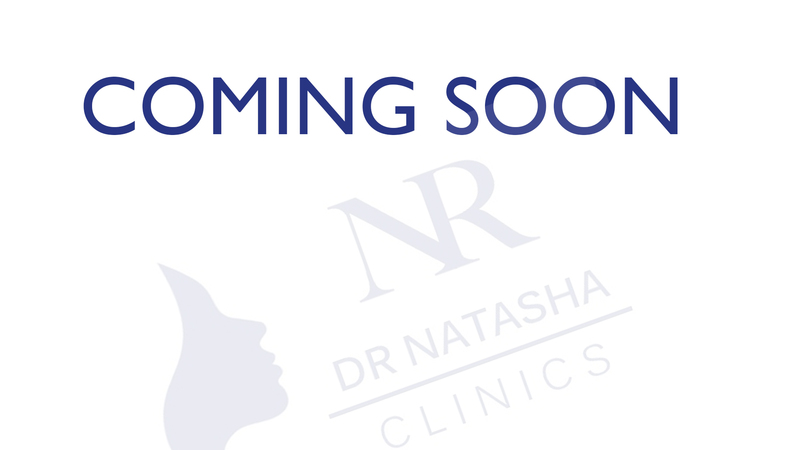 Dr. Natasha will give aftercare advice and answer any questions or queries the client may have. The procedure is very safe. Dr. Natasha is very experienced and specialises in lip fillers & lip augmentation. Common side-effects include redness, mild bruising and mild swelling, this is usually minimal. These usually resolve within a few hours, but bruising may last for a few days. Normally the results last between 6-8 months. However, this is dependent on the individual, and if the post procedure recommendations are followed.